Paris, the City of Light. The city of the Eiffel Tower and the Louvre, of soft cheese and fresh baguettes. Or so tourist brochures would have you believe. 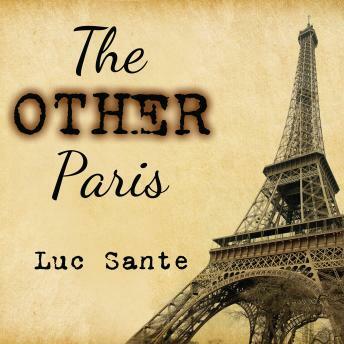 In The Other Paris: The People's City, Nineteenth and Twentieth Centuries, Luc Sante reveals the city's hidden past, its seamy underside-one populated by working and criminal classes that, though virtually extinct today, have shaped Paris over the past two centuries. A wildly lively survey of labor conditions, prostitution, drinking, crime, and popular entertainment, of the reporters, realiste singers, pamphleteers, and poets who chronicled their evolution, The Other Paris is a book meant to upend the story of the French capital, to reclaim the city from the bon vivants and the speculators, and to hold a light to the works and days of the forgotten poor.